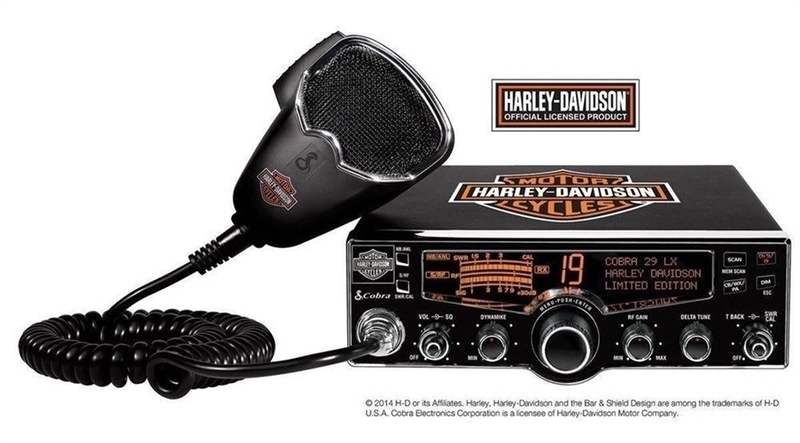 The 29 LX HD LE is a Limited Edition officially licensed Harley Davidson designed CB radio and microphone using the 29 LX platform. The 29 LX HD LE features a modern aesthetic design with Harley Davidson branded cabinet and badge, front control panel and microphone with a selectable LCD Dot Matrix display in red, green, blue or amber to compliment the interior of any cab. The display also has customizable night and day settings to enhance readability in both very bright and dark conditions. Based on the 29 LTD Classic platform with added features: A 4-color display where the user can program any one of four colors, radio check diagnostic to allow the operator to monitor the vehicles antenna system, the voltage system and the radio's RF output power.